A Pilgrim's Tale: Wrestling with some religious boxes. "This Is My Body: Ekklesia As God Intended" by Keith Giles. A Book Review. Recently I was asked by Keith Giles whether I’d be interested in doing a book review of his new book, “This Is My Body: Ekklesia As God Intended.” I told Keith that I would be honored. Then, before I could get to it, life happened to get in the way for me and everything had to be put on the “back-burner” for a while. Sorry for the delay, Keith. So now that I’ve finally read it, what are my thoughts on Keith’s newest book? Overall, I enjoyed reading his book. I thought that it started a little slow for me, which led to taking a little longer to get me on board. However, in all fairness to Keith, that’s not a negative, as he was dealing with some important background concepts in order to set the stage. Much of this was in the form of trying to explain how the Old Testament prophecies paved the way for the New Testament church. What made this slow for me was reading the many Scripture references. I know that sounds wrong to say that, but for me it just slowed down the story much like stopping at the end of each page to read the footnotes would slow one down in reading a textbook. Still, those Scriptures were important and needed. As I read the book, it also occurred to me that I’ve read some of this somewhere before, but at first I wasn't sure where. Then it came to me. It seems that at least some of Keith’s material came from some of his previous blog posts. That too, though, is not to be taken as a negative. In today’s blogosphere, I wouldn’t be surprised if more and more people use their blogs as launch pads for new books. Lord knows I've thought of doing that myself, but I digress; back to the book. The central message of Keith’s book is now for many of us a familiar one. A few short years ago we would have been hard-pressed to find many books at all on the theme of deinstitutionalizing the church and returning her to a more simple and organic format. Today there are now many, many such books, including this one. Soon there will no doubt be several others. Early on in his book Keith makes the statement that “the Church in the West is desperately in need of a revival” (p. 11). At first I took a bit of an exception to that statement, because when we often speak of revival, we tend to speak of it in terms of returning to some sort of golden era of yester-year. We usually refer to revival as a return to a time that the church was, in our opinion, better than it is today. However, in reading further, it becomes evident that the “revival” that the author has in mind isn’t a return to the 1950’s church (or some other era), but rather a return to the way that the church functioned way back in the pre-Constantine era. Keith addresses many of the ways that the early church (before Constantine legalized Christianity) was different from our modern church. One example of this is that strange (and non-biblical) dichotomy between clergy and laity. The author reminds us that, “every baptized believer in Christ was automatically ordained by the Holy Spirit into the ministry of Jesus. There was no separation between clergy and laity” (p. 51). As a matter of fact, both the words “clergy” and “laity” aren’t even biblical concepts. For many of us who have already left the traditional and institutional form of the church, this is nothing new. Still, the message is important for those who still find themselves in these systems and are having issues with some of her forms. To further paraphrase Keith’s book, the central message is that we in modern Christendom have left the path that the early church before us had trod, and in a very real way, we no longer even look anything like the church of Acts. This I wholeheartedly agree with. If the early church were to look at our typical worship services today, at the very least I’d doubt they would even recognize us as the Christian church at all. More likely, however, I think they might actually even wonder what religion we are a part of. The point Keith makes is that there is a very stark difference between the church today and the church that Jesus founded. The two do not resemble each other at all. Keith also does a good job of showing us the difference between a business organization and a family organism. The church that Jesus started was definitely of the family organism variety. Unfortunately, Keith says, in many ways we’ve made it into a business organization instead. The early church was much more focused of the communal lives of brothers and sisters than the church of today often appears to be. They would spend significantly more time together, much like normal families do. Contrast that with the business organizational type church that is common today, in which so much is money-based and is run very much like many other secular businesses. Modern churches may speak of being a family, but when we look at the amount of quality time they spend together, theirs is a dysfunctional family at best. The early church knew nothing of this type of church model. Keith goes so far as to say, “If the world needs anything today, it desperately needs a return of the New Testament form of church and a New Testament brand of Christianity” (p.82). I like that. How can we do that? Keith writes further, “It’s time the church went out of business. Close down the bank account, lay off the pastoral staff, cancel the utilities, sell the building, auction off the sound system and the digital projector, and turn out the lights…the church needs to get out of the business of being in business” (p.91). I’ve come to appreciate Keith Giles. I follow him on Twitter and regularly explore the links to his various blog posts. Keith is definitely a gifted writer, and a cherished brother in the Lord. It is obvious to me that God is using Keith in some wonderful ways. 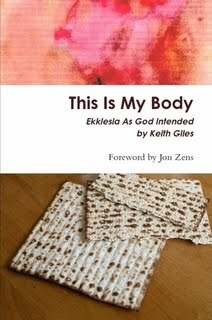 If you have not yet read Keith Giles’ “This Is My Body: Ekklesia As God Intended,” I would encourage you to do so. You won’t be sorry that you did. In our little corner of the world there are a lot of Mormons. I'm always surprised at how many people there are who still confuse mormonism with Christianity as if they were simply another in the long list of Christian denominations. The truth of the matter is that there is nothing Christian about mormonism. I remember a man I once worked with who took exception to that remark. He argued that mormons were Christians because they had the name "Jesus Christ" on their buildings. My rebuttal was that, having the name "Jesus Christ" on your building, doesn't make you a Christian any more than an atheist's swearing using Jesus' name in vain makes him a Christian. Christians, or those considering Christianity, need to be aware of the dangers of other cults like mormonism. That is why I was so thrilled when I read the following testimony from Arthur Sido. It's one thing to read my views on mormonism, not having ever been a part of it; it's quite another thing to listen to a man who has lived it, and by God's grace, has found the way out. I have long felt compelled to put down my thoughts and our experiences as we found ourselves first investigators, and then members and finally apostates of the mormon religion, and how God’s gracious hand was ever-present along the way. At the time when we left mormonism, we initially felt lost and confused. How could everything we knew to be true suddenly be shown conclusively to be false, how could God have allowed us to be taken in by a lie all those years? But as the years have passed, more and more we have recognized the hand of God even as we were deepest in mormonism. In my college years, we had the first two of our eight children and that experience of holding a tiny child, a new life had a profound impact on my thinking. No longer did I assume, could I assume, that life was just a random act explainable away by science and reason. In my last few semesters at Bowling Green State University, I took two courses that gave me my first exposure to the Word of God, an English course “The Bible as Literature” and a history class on the New Testament. Both were completely secular classes and neither approached the Bible as the literal Word of God. In fact in my literature class the instructor was a more than slightly kooky former Roman priest, who needless to say didn’t have a high view of the Bible. In the months leading up to graduation, as I sought employment, I was offered a management position with a retailer in Cheyenne, Wyoming. As we prepared to move “Out West” after graduation, we got advice from quite a few people to find a church when we settled in to give us a sense of community. A few months after arriving in Cheyenne, my wife called me at work to let me know we had company coming over, a couple of missionaries from the Church of Jesus Christ of Latter-Day Saints. Now, being relatively ignorant of all things religious I knew very little about the mormons. I knew that they were highly regarded as being industrious, faithful, family oriented, conservative folks. I knew about the prohibition on drinking and of course the ever present issue of polygamy, but that was about it. Like so many people who are ensnared by false teachings, I didn’t know what the truth was and so was unable to recognize a lie for what it was. The two missionaries who came over that night were great guys, Noah McDaniel and Henk Fisher. They were polite and patient. The first night they came we got a lesson in how not to deal with mormons and other cultists. The maintenance guy who lived in our apartment saw the missionaries coming in, got in their faces and threatened to call the police. Right away, we were given two contrasting images: the nice, clean-cut mormons and the angry, intolerant Christian. The two missionaries hit it off with us right away, they were a lot more relaxed than most missionaries we would meet in the years that followed. They were earnest but not self-righteous, and they presented the message of mormonism as well as anyone I have ever seen. We still have some of the hand drawn diagrams they used to illustrate their points. We were like sponges, and having virtually no knowledge of the Bible, we didn’t know where to question what we were being told. After completing the investigators lessons, we decided to get baptized as members of the church of Jesus Christ of Latter-Day Saints. In November of 1995, around Thanksgiving, we were both baptized and began attending as regularly as my schedule working in retail permitted. Noah McDaniel and Henk Fisher eventually moved on to new assignments, but our fondness for missionaries would remain for the rest of our time in mormonism. We even named our fourth child Noah, after Noah McDaniel. Life in mormonism was kind of a blur for the first year. We moved back home to Ohio shortly after converting, and then to Auburn Hills, Michigan. We never really got as connected as we should have. It took way longer than normal for me to receive Melchizedek priesthood as an adult male. Because we moved around so much, it was more than a year before we really got hooked in. In Ohio, we lived on the East side of Toledo and the ward was pretty far away in an affluent part of town and we never were really comfortable there. Just the opposite was true when we lived in Michigan, the church was pretty small in the area, so rather than a full ward we were part of the Pontiac branch. We met in a non-church owned building, and the group was pretty small. Pontiac is a pretty rough town, and again working in retail we didn’t make it very often to church. The one constant was that we had the missionaries over on a regular basis, and they formed the main connection with the church at that time. It wasn’t until we moved to New Hampshire that we really got comfortable in the church. In New Hampshire, I went from retail to working at Fidelity Investment, my first Monday through Friday job, and because Fidelity had relocated a number of employees from Salt Lake City I worked with and knew a lot of other mormons. We shared a corporate culture as well as a church culture, and I felt more involved in the goings on because our local Bishop was a mid-level manager at Fidelity. We still had the missionaries over for dinner all the time, and I began going out and accompanying them on home visits. We liked it a lot better in New Hampshire, when we joined in Wyoming most of the people were very intimidating. Keeping up with the Mormon Joneses was hard, and it seemed like we would never be able to live up to the standards of righteousness that was in our faces all the time. In New Hampshire it was different, we were friends with lots of other mormons, we really got into the new member classes (over a year after we were baptized). We made a few really good friends, people we and our kids hung out with even outside of church. It was after a few years in New Hampshire that we finally went to the temple. More on that later, as that whole experience deserves separate treatment. Life was good church-wise in New Hampshire, but it was so incredibly expensive to live in New England that we decided to move back to the Midwest, and I ended up with an ill-fated and short lived job in Wisconsin. After a short stay in Wisconsin, we moved to Northern Kentucky and back to Fidelity Investments. Like every move, the first contact we made was with the local mormon church. They helped you move in, get acclimated to the area and get integrated into the local church. Moving is jarring, and by keeping in touch every step of the way, the mormon church ensures that people don’t stray or fall away when they change wards. In Northern Kentucky, we settled back into church. As usual, the missionaries were very important to us. We had them over at least once a week, often times several nights a week to feed them. I went out with them almost every week on visits and to drive them around, since they covered a pretty big geographical area and had limited mileage on their car. It was during this time that I was called as a membership clerk in the Bishopric. That is a pretty minor calling, but it gave me insight into the inner workings of the local church leadership as I attended most of the Bishopric meetings. It was a rude awakening how people were called into their church callings, the process being a lot more pragmatic than inspired. It was also disturbing how many people who were listed as members never attended and of those how many either wanted no contact with the church or were outright hostile towards it. Most mormons outside of the bishopric would be shocked to learn what a high percentage of “members” are openly hostile toward the church that claims them as members. It is true of many Christian churches that members on the rolls often are not attenders, but you don’t see the same level of hostility towards the institution. Life was pretty well set, laid out in front of us for the rest of our days. Raise our children up, send them to BYU and on their missions, retire and perhaps become retiree missionaries for the church. Our kids would marry other mormons, and raise good mormon kids. We were in a very comfortable groove, temple worthy mormons fulfilling our callings and generally doing what good mormons were supposed to do. We had it all figured out. As I look back, the beginning of the real questions came when we finally went to the temple. After a few false starts in New Hampshire, including a whole cancellation of a trip (it was a big deal, this was before the Boston temple, so the nearest temple was in Washington, D.C. a trip of some 450 miles), we finally completed the temple preparation classes and made the journey to the D.C. temple in February of 2000 with our four oldest children. The trip itself was exhausting, driving through the night, stopping to sleep for a few hours in Delaware. I still remember the stench of the garbage barges in New Jersey! We stayed with my sister who lives in the area, and went in early with some people from church who were also co-workers of mine at Fidelity. The day is kind of a blur, but some things stand out for us. As we sat in a brief meeting, a greeting from the temple president, I remember looking out in the hallway and seeing guys in all white walking by with funny hats on. We thought they were chefs, because no one told us what to expect. The whole lead-up is pretty mysterious, you know very little of what is to go one in the temple before you go (and for good reason, as the whole thing is pretty freaky!) As we went through the ceremonies, including the “take of your clothes and put on this sheet so an old guy can dab oil on you” part, it became increasingly weird. This was the high point of mormonism? This is what we had looked forward to for all of that time? The only thing that redeemed the trio at all was as we were entering the room to watch the video and take out our endowments, we walked past a young couple. I thought he looked familiar and sure enough it was Noah McDaniel, one of the missionaries who had baptized us and that we hadn’t talked to since. We were able to catch up with him later and introduce to the little blonde boy who we named after him. If we had not met up with Noah and his wife, I am not sure what we would have done afterward as we were more than a little freaked out. We got our new temple names, Heber for me and Lydia for Eva (sharing those names is a big deal, as that is highly secretive. Eva never knew my temple name until some time after we left mormonism. I knew hers of course so I could call her through the veil and she wouldn’t get left outside of the celestial kingdom. But I digress…) We learned the secret handshakes, watched the cheesy video, spoke the sacred oaths and acted out calling our wives through the veil and entered the celestial room. That was hardly the pinnacle of spirituality on earth, we were mostly just tired and feeling anything BUT close to God. Finally we went to the sealing room, with it’s altar and double mirrors to give the image of eternity. By that time we were exhausted, and for me the sealing ceremony where we were joined as a family for time and eternity was just annoying. Noah wouldn’t behave (a sign of things to come! ), and it was for me a pretty non-spiritual event, in fact anticlimactic might be the best way to describe it. It is hard to take things seriously wearing a goofy get-up like that. We drove away with our packet of stuff, including the obligatory temple certificate and picture of the temple and I remember looking at each other, sworn not to speak of the events of the temple but with a clear question in each of our eyes: “What the heck was that!”. Mormons are encouraged to go back early and often to the temple, I believe to lessen the strangeness of it all through familiarity. But although we carried our temple recommends until the day I mailed them back to our local Bishop and we always spoke highly of the temple, we never went into a temple again. The temple to me was hardly this little slice of heaven on earth. They are beautiful on the outside but what goes on inside is not the work of Christ, but the work of the Devil. It brings to mind what Christ said about the scribes and Pharisees in Matthew 23:27: “"Woe to you, scribes and Pharisees, hypocrites! For you are like whitewashed tombs, which outwardly appear beautiful, but within are full of dead people's bones and all uncleanness.”. 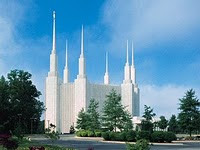 Beautiful and clean on the outside, but full of spiritual death on the inside is an apt description of the mormon temple. In the summer of 2001, our oldest daughter was turning eight, the age when most mormon children are baptized into the church. We had it all planned out, she had been in to meet with the Bishop to make sure she understood what was going on and was “worthy”, we had special dispensation to baptize her in Northern Michigan. Things were proceeding as they were supposed to. I remember distinctly that at that time I was reading that old mormon faith affirming standby, The Work and the Glory series. It was designed to reaffirm your faith, while giving you a sanitized history of the church that was also faith affirming, but it didn’t have that impact on me. The more I read, the more I started to realize how poorly the Book of Mormon was written, and that when I was the same age as Joseph Smith, I could have crafted a similar tale. One afternoon, after reading I knelt down to pray. I never imagined what would happen after my knees hit the ground. It was very sudden. I knelt down as a mormon, and when I stood up I no longer was. It wasn’t because I was offended by someone in the church. It wasn’t because I had an un-confessed sin in my life. It wasn’t because I had fallen under the influence of apostates or read anti-mormon material. I can only attribute it to God breaking my heart, breaking the pride that made me think that I could be saved through my own righteousness, that by obedience and works I could become like God Himself, either dragging Him down to me or lifting myself to His level. Semantics in mormonism suggest that we never become the equal of our Heavenly Father, but the reality is that mormonism teaches that God was once a human, no different than us, and that He became a god and by following the tenets of mormonism we could do the same and become like Him. I was not looking to get out, I was not seeking Him. He came seeking me. The Great Shepherd who searches for one lost sheep found one, kneeling down next to his bed in Kentucky, worshipping the image of a false god. If there was ever a more unlikely candidate to be saved than me, I can’t imagine who that person might be. Maybe Saul. Like Saul I sought to persecute Him by spreading lies about Him and seeking to lead people away from Him, and like Saul I thought I was doing His work because I was so earnest about it. I see no similarities between myself and Paul, post-Damascus Road conversion but I see a lot of similarities between myself and Saul the persecutor of the church. In that moment I knew a few things. I knew that no matter how hard I had tried to convince myself, the Book of Mormon was not Scripture, that it was not the Word of God. Joseph Smith was a shyster and a liar, and had made up the whole thing. And I knew that I would never again worship a false god in a mormon church. I walked into the living room and told Eva I didn’t want to baptize Caitlin. At first she assumed that I meant that I didn’t want to do it myself, but then she came to realize that I meant not that I didn’t want to baptize Caitlin but instead that I didn’t want Caitlin to be baptized as a mormon at all. Things started happening pretty quickly. The missionaries came over, and I had a curt but cordial conversation with them. We got an anonymous letter in the mail that I kept, along with a book warning us about staying clear of those evil anti-mormons like Sandra Tanner and that apostate mormons are one of the few categories of people who go to hell in mormon theology (murderers are the other group). The local Bishop called Eva when he knew I would be at work, and I recall leaving him a fairly ugly message telling him to not call my house anymore. It was about that point that I started to read “anti” mormon material, and what I read was stunning and confirmed what I had come to believe about mormonism. The changes and inconsistencies in the story of the “First Vision” and the Book of Mormon, the fact that Joseph Smith was hoodwinked into buying Egyptian documents and then “translating” them into what is now known as the Book of Abraham which contains much of what makes up distinctive mormon theology. That “translation” has now been shown categorical to be false, and laughably so. As I read the Bible without looking at it through the lens of mormonism, I began to see how deviant mormonism is from Biblical Christianity. Rather than regretting my decision to leave, I began to praise God for saving me from a lie and from myself. One momentous (for me) occasion still sticks out in my mind right after we left. A young woman I worked with had a boyfriend who was a lapsed mormon, and she knew that we were mormons so when I told her we left mormonism, she challenged me to get a cup of coffee and then wanted to watch me drink it! It was a liberating moment for me, that first cup of coffee and I have been making up for lost (coffee) time ever since. Another time that I remember was a business trip back to Massachusetts. I had lunch with a couple of buddies from my old job, one a mormon and one a Catholic who knew I had left. My Catholic friend asked how things are going since we left mormonism, and the look of horror on my mormon friend’s face was telling. He later emailed me and said something pretty typical, in talking to some other mormons who knew me the assumption was that someone had offended us. It had to be something like that, right? For mormons it is, because the alternative that someone had earnestly come to the conclusion that mormonism is false topples the whole house of cards. I rarely heard from him after that and finally not at all. It was a hard time in our marriage. When I stood up from my knees that day, I was done. I was utterly convinced that mormonism was a lie, and I walked and never looked back. It was much harder on my wife. Eva went with me at first because of her loyalty to me, but for years afterwards still clung to many of the positives of mormonism. As her husband, the one called to be the spiritual head of the family I had let her down and let us be led astray (not the first and certainly not the last time that I failed in my role as husband). Those who were out friends stopped speaking to us, shunning us in fact as apostates. A particular event stands out in my mind shortly after we left mormonism. One of our favorite missionaries, David Card, came over after we left, along with two other missionaries. We had a nice dinner and then they started looking at my Book of Mormon and all the pages I had tabbed with various inconsistencies and heresies. Rather than confidently refuting what we had come to believe as they planned, they retreated back into the “I have a testimony” defense. I could see in their eyes as they were backed into corners that they were shutting down, and eventually they completely shut me out. I always took offense at mormonism being called a cult, but when we left the actions of other mormons, and especially those missionaries that night, showed me pretty clearly that so much of the way mormons structure their church is designed to work like cults do: shunning apostates, quashing dissent, discouraging investigating, reliance on a modern prophetic voice. The whole event solidifies for me the sovereign grace of God. I was not seeking Him, in fact I was quite sure that I was already in His church and doing His will. I suspect that is true of virtually everyone who comes to Christ. In our natural state, we are not seeking Him. Ask the average unbeliever, at least those who are not militant atheists, and chances are that they are in another faith tradition and believe they are following God or are relying on good works (I am living well, I am generally a good person, etc.) for their salvation. We want to have a hand in our salvation. Mormonism takes that to another level: not only can you help to save yourself by your works, if you work diligently and faithfully enough you can become a god too! But in spite of my arrogance and blasphemy of assuming that God was merely a partner in my salvation and that I would one day climb to godhood myself, God worked that miracle that only He can do, quickening my dead sinners heart through the power of the Holy Spirit. If He had not worked in my heart, I would likely have stayed in mormonism and be as lost as the most vitriolic atheist. Therefore all the praise and glory for my salvation belongs with Him, and Him alone, and that is the way it should be. UPDATE: I have started recording my thoughts about mormonism on a different blog, The Fo-Mo Chronicles. I encourage interested readers to check it out. On behalf of true Christians everywhere, I want to take a moment to apologize to the world for the non-biblical rantings of a very small minority of false prophets and pseudo-Christians. 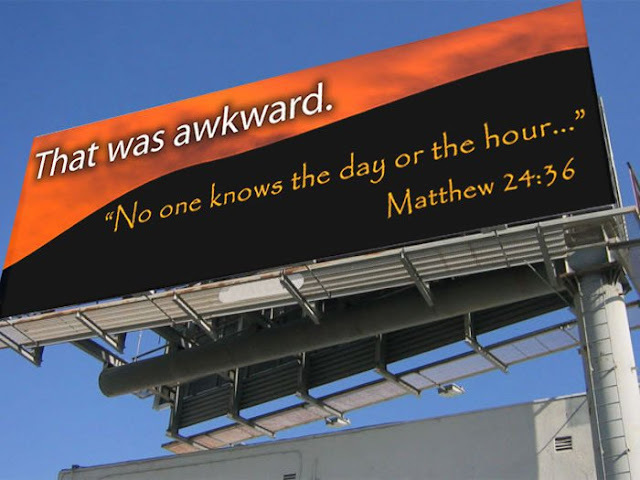 Their "End-of-the-world" and "Imminent Rapture" nonsense of Saturday May 21, 2011 in no way represents the majority of true Bible believing Christians. I'm not sure where this picture originated, but it says it all. Sorry. I was so very blessed again yesterday! A dear friend came by and gave me a three-volume set of Thomas Manton’s classic sermon series, entitled “Psalm 119.” Thomas Manton (1620-1677), for those who aren’t familiar with his works, was perhaps the greatest of all the Puritan preachers. I am so looking forward to disappearing in these pages. Thank you Brother. This made me think of some of the other classics I’ve read over the years. 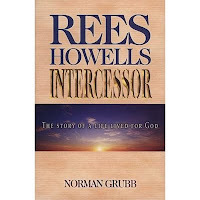 Perhaps one of the greatest of these classics that I’ve enjoyed was a biography by Norman Grubb entitled “Rees Howells: Intercessor.” This is an amazing book that reads like it came right out of the pages of the Book of Acts! What an incredible legacy Rees Howells left us. If there ever was a life to emulate aside from Christ Jesus himself, this is it. One of the stories centered a man who arrived at the train station one day and asked if “the man with the Holy Ghost” was in town. He did not ask for Rees Howells by name because he did not know his name. He simply knew that in that particular village lived a man filled with the Holy Ghost. The thing I found interesting in this was that the train station clerk knew exactly who this visitor was looking for, and directed him to the home of Rees Howells. As I pondered this, I wondered if the same could be said for me. I work at a large facility with many employees. If one day a stranger walked in to the receptionist’s desk and asked if “the man with the Holy Ghost” was there that day, would she know exactly who he was referring? Would she, without him mentioning my name, have enough information to direct him to my office? Does my life so reflect the Spirit of God that “the man with the Holy Ghost” is enough of a descriptor for someone to point a stranger looking for me to my whereabouts? Dear Lord, let it be so! 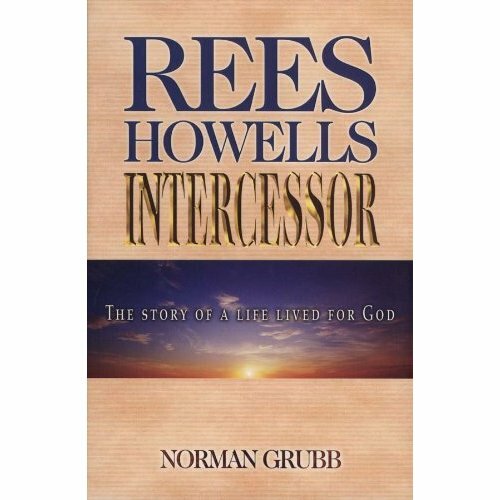 If you have not yet read Rees Howells Intercessor, you owe it to yourself to do so. It will challenge you, and it will probably make you cry as you are confronted with a man who lived the Book of Acts in such a way that I’ve never heard or seen anyone else ever do. It is a true Christian classic. Lord, grant us the same passion and urgency and love as you gave our brother David Wilkerson. Do you believe that there is a pandemic in the church today? "And do this, understanding the present time. The hour has come for you to wake up from your slumber, because our salvation is nearer now than when we first believed" (Romans 13:11; NIV). Is the church as we know it today "slumbering?" Maybe it needs a wake up call. Maybe it needs to heed the message in this video. "He who has an ear, let him hear what the Spirit says to the churches" (Revelation 2:7; NIV). Do we have an ear to hear? Hmm, I wonder. In this well written book, the author takes us along with him from his early days in a leadership role in the church, through his questioning some of the teachings and practices, and finally to the place where he and his wife make the difficult decision to leave. In response to some of those bizarre manifestations, Revees reminds us that, “we must be careful to let the Scriptures be silent where God has ordained silence.” Just because the Bible doesn’t speak clearly on a certain subject, doesn’t mean that we have license to do whatever we want. When we don’t allow the Scripture to be silent, we become prone to what he calls “presumptive prophecy” which is characterized more by emotional experiences than sound orthodoxy. Time and again he warns us to be careful not to take everything as being from God. Just because someone is supposedly “slain in the Spirit” (whatever that really means) or clucking like a chicken on a church pew, doesn’t mean that God is there in it. He says that when we do treat all such things as being from God, it is like “driving a car while wearing blinders. You can’t see the big picture. Your actual focus becomes so constrained that you miss necessary landmarks to indicate proper direction – not to mention the fact that sooner or later you’ll get sideswiped by a vehicle you never saw coming.” Soon you no longer resemble the body of Christ, as the early church knew it to be, but rather look more like a circus or a zoo. The book raised a huge question for me, namely how we as Christians should respond to other so-called believers who have broken away from sound orthodoxy. The tendency today seems to be to embrace everything that even remotely calls itself “Christian” in an effort to promote a spirit of ecumenical unity. However, is ecumenism for the sake of “unity” a good thing in and of itself? I really don’t think so. 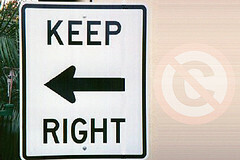 I’ve long since believed that we must point out error when error creeps into the church. I know that some will disagree with me on that. They would suggest that “airing others dirty laundry” is not very loving. But does true orthodoxy not trump love for the sake of ecumenism? Can we point out error and genuinely love at the same time? Revees puts it this way: “It’s as if it is considered unloving to bring serious departure from the Christian faith out into the light, and openly name the person involved. Interestingly, Paul had no such compunction (2 Timothy 2: 17-18), nor did the apostle John (3 John 9-10). Jesus called out the Pharisees to their face, in front of multitudes. We have the pattern set forth in the Word, but we simply refused to follow it, shrinking back behind an unbiblical definition of love.” It seems to me that, if we don’t fight for the truth and purity of the Gospel, soon we’ll have nothing left that is worth fighting for, much less recognizable as Gospel. 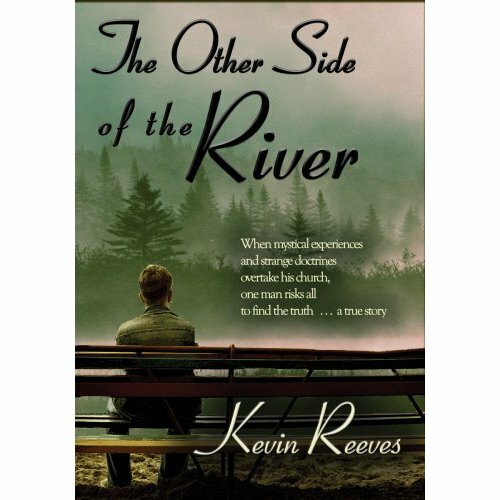 In that sense, Kevin Revees’ book is as important as it is timely. I whole heartedly recommend this book. It just occurred to me tonight that I just missed an anniversary earlier this month. Mother's Day 2011 marked the 10th anniversary of my last service as a pastor of an institutional church. It was Mother's day 2001 that we officiated the last service before leaving the professional pastorate. It's amazing how time flies. God has sure looked after us and kept us those 10 years. We have met some amazing people. We have had some incredible times of fellowship. It is safe to say that I have grown more, and learnt more, in and about the Saviour in those 10 years than in all the previous years of my institutional church walk combined. God is so good! Can you relate? If you've given up on institutional Christianity, how has your walk with Christ fared during that time? Have you grown in Christ? Would you consider yourself as a "backslider" or as more mature in your faith as a result? How would others in the church view you today after having left the institutional church? Just for fun, I recently asked the question on Twitter if people thought “eFellowship” was an actual “Christianese” word, or if it ought to be. I don’t know what made me think of that. It probably came out of the fact that in recent months I’ve been challenged yet again as to exactly what constitutes fellowship. We use “e” all over the place today. 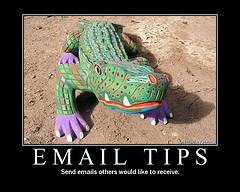 We speak of things such as eMail, eBanking, and eBooks all the time. 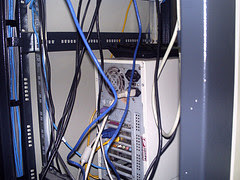 Some people have even “met” spouses on eDating networks. We know what these are; they refer to electronic activities, products and services. But what about “eFellowship?” In one sense we often seem to do some form of that, and in another sense, I have a terrible problem with the concept. I remember my son saying that he was “talking” to friends in reference to text messaging or corresponding on Facebook. Being a little old fashioned, I’d argue back (nicely of course) that what he was doing in no way constituted “talking.” The very word “talking” to me implied a form of face-to-face communication. He disagreed with me, and that’s OK. In retrospect, he was right. We all “talk” on telephones, which also is not a face-to-face communication, and what he was doing was simply the next generation of telephone communication. However, when it comes to fellowship, what are we talking about? Let’s define the word. When I speak of “fellowship,” I’m thinking primarily about community, and specifically, Christian community. I’m thinking about working and sharing and praying together. I’m also thinking about how we comfort and encourage each other. In speaking of fellowship, I’m thinking of Bible reading and study and music aimed at jointly bringing us all closer to God. I’m thinking of sharing life, and not just a few moments at the tail of some religious service. That is what “fellowship” means to me. Obviously, then, fellowship is very important. I not only seek it, but I often even crave it. Real fellowship is the life-blood that pumps through our veins (or it ought to be). For me, there is no substitute for that intense face-to-face fellowship. Nothing can compare to that. So what are your thoughts? What does the word “fellowship” mean to you? Are you comfortable with the word “eFellowship” to describe your online relationships? What is right with the concept? What is wrong with it? I’d love to hear your views. Sure, some of them have cute little stories, which may or may not be true. Many of them are probably designed to motivate or encourage us to do one thing or another. I’m fine with all that, but as for the “guilt” part at the end, well I loose interest the second I see that. Don’t tell me what will or will not happen to me if I choose not to forward your email on to at least 10 of my friends! Don’t tell me that I am somehow a lesser Christian, or an ashamed one, if I don’t follow your instructions! The problem is that they have some truth in them. To use the above example, “God is alive and well,” there is no question there. But the way these messages are worded, it seems they would have us to believe that, unless we forward the emails, then we somehow must not believe that “God is alive and well.” Notice the second half of the above example, which asserts Jesus saying: “If you are ashamed of me, I will be ashamed of you before my Father in heaven.” While the email didn’t give me the reference, Jesus did say that in Luke 9:26. However, while that part is true, is it also true that I am to be counted among those who are ashamed if I don’t forward their email? Of course not! By the way they worded the above message, guilt and condemnation is precisely the impression I get. God doesn’t play these silly little religious mind games, and nor should we. I only rarely will forward on email messages like that, but when I do, it is not because I have been told to. When I choose to forward them, it is because I like the message or story in the main body of the text. However, before I do forward such messages, I will always delete all that guilt-laden trash at the end of it. Another thing I try to always do before forwarding any emails is to clean up the email by deleting that mile-long string of email addresses. 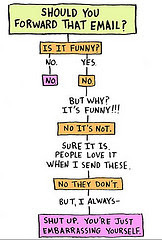 How I wish everyone would do that before forwarding emails to me! To spend half an hour (OK, that’s a little exaggerated) scrolling through list after list of email addresses is also most annoying. Sometimes I’ve even given up and deleted the entire message even before getting to the main body of the message. So there you have it; another of my pet peeves. If you really think I would enjoy or be blessed by your email message, then please do send it to me; I would love to read it. However, before you do, kindly clean up the message of all unnecessary email addresses and also delete all that “guilt-laden” religious junk at the end of the message. I don’t believe in that stuff, and I don’t believe that my God plays such mind games with me either. What about you? What is your take on all this? Do these kind of emails annoy you too? What has been your approach to dealing with them? I would love to hear your thoughts on this. Thanks, and God bless. In light of all the blogs people maintain these days, and with all the thoughts and ideas going back and forth over social media sites, I sometimes find myself wondering about plagiarism. What constitutes plagiarism? By saying that, am I also saying that I tend to plagiarize? Certainly not! At least not consciously, and that’s what I want to talk about. How are we to define “plagiarism” in our modern e-world? Let’s start with the dictionary. Plagiarism is, according to the Gage Canadian Dictionary, “an idea, expression, plot, etc. taken from another and used as one’s own” [L. plagiarius, kidnapper]. I think we all get that. However, here’s my question. Most of us who will read these words are likely well-read people. Many of us have also dabbled, to some degree or another, as writers. The problem that arises from this is that, unless we carefully document thoughts every time we read, the more we read the more we also lose focus as to just where ideas and thoughts originated. For example, if you’ve been to this site before, you will no doubt have noticed that I have often blogged on various issues pertaining to what we sometimes call the “institutional” church. Having said that, from where did I get the idea of a church being “institutional?” Ultimately, I would argue, the idea came from a revelation of God. OK, so how then does God reveal things? Could not at least part of His revelation to people come from the writings of others? I’m sure we all would have no problem with that concept. God’s revelation comes through His Holy Spirit, through His written Word (the Bible), and through His people who have been called by His name. If I consciously know that something I am writing comes from someone else, I will certainly give credit where credit is due by quoting the source. Likewise, if I am using a saying or quoting an idea that I’ve heard before, but which I haven’t a clue as to where it came from, I will always list its source as “unknown.” In these cases, to fail to do that, I think would make us guilty of plagiarism. But what if we unconsciously say or write something that originated with someone else? Are we then plagiarists for that which was unconsciously written or spoken on our part? You and I obviously did not write the Bible. Still, how many times haven’t we quoted Scripture, orally or written, without giving precise references? When the Scriptures are taken to heart, we don’t always quote book/chapter/verse. We may even paraphrase, but when we do, does that make us plagiarists? No, it doesn’t. In a written document, it may make us guilty of violating a copyright somewhere (unless we’re specifically quoting the KJV which has no copyrights), but not of plagiarizing. So if we have embraced a concept or idea that we have read from someone else’s writings, does it not then likely also become a part of who we are? In such a scenario, we are no longer aware of where this concept or idea came from originally; it becomes a part of our subconscious. Then, if it becomes a part of our very nature, of our subconscious, are we then plagiarizing if we then also use that thought or concept later on in something we may either say or write ourselves? That is the question I’ve been asking myself. For me it all boils down to that which was done intentionally versus unintentionally, with pure motives versus impure motives. Jesus said, “Blessed are the pure in heart” (Matthew 5:8). “The Lord looks at the heart,” says 1 Samuel 16:7. That’s good enough for me. If I have peace in my heart concerning these things, and have not deliberately mislead anyone, then I have not been guilty of plagiarism. So what are your thoughts? Have I missed something here? What constitutes plagiarism in your books? "Rethinking Faith and Church" may not be right for everyone, and especially not those who are unable to look at Christian faith from outside of the religious status quo that is sometimes called institutionalism. Here you will find a plethora of posts that will challenge you, hopefully encourage you, and quite possibly even upset you from time to time. You may even find a chuckle or two from some of the more satirical posts. Offence is not intended, but as with all "rethinking," sometimes toes do get stepped on. In the end, hopefully it's all done in love and for the glory of God. For more about this blog, please click on the 'Caution' sign above. Thanks for the visit. Peace and Blessings. The Nicolaitans: Who Were They? Who Are They? Jesus Loves You, But Everyone Else Thinks You're An *#@%*&#^#! Have You Ever Questioned Church? Will Rochow. Powered by Blogger.